Cummings Cove is an age-targeted community that welcomes active adults from all over. Hendersonville is known as “The City of Four Seasons.” Leaf-draped hillsides in fall give way to short merciful winters, and the lush spring colors culminate in pleasant summers. All the while you’re treated to the sights of the Great Smoky Mountains and Blue Ridge Mountains. 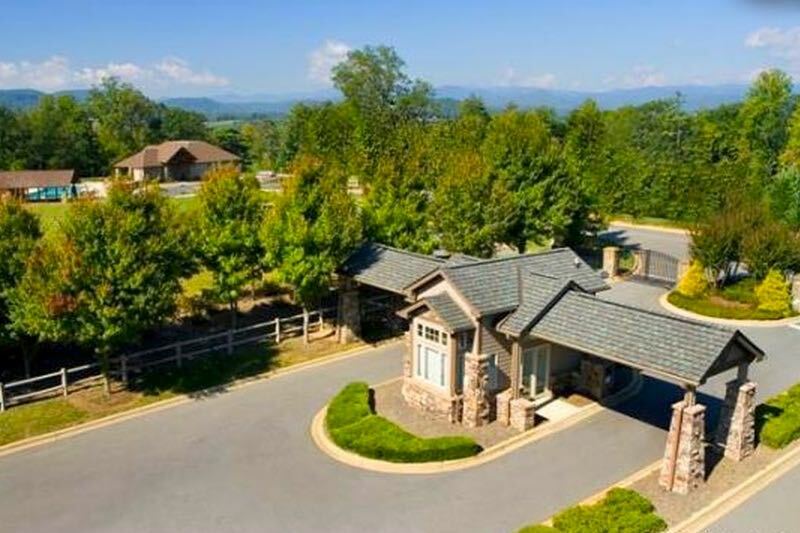 Cummings Cove, an age-targeted community, takes everything that makes Hendersonville such a beautiful place to live and puts it in your backyard. Homeowners here do more than just enjoy the view from the mountains - they can golf through it too, thanks to the on-site 18-hole golf course. The recipient of “Best Renovation of the Year” in 2006, this par-71 course features 6,415 yards of fairways amidst towering trees, streams, waterfalls, and the surrounding mountaintops. In addition to the beautiful golf course, Cummings Cove has three separate amenity centers for residents to use. The Cummings Cove Golf & Country Club is where homeowners and members gather. This clubhouse has a restaurant, lounge, and a meeting room for casual get-togethers with friends. There are also golf practice facilities for honing your game before hitting the course. The Sports Complex meets residents' fitness needs. An exercise room and aerobics studio houses group and solo workouts, while a sauna is available for relaxing sore muscles afterwards. The Sports Complex also has an outdoor pool, spa, and patio for making the most of the temperate summer months. When it comes time to meet up with friends, the Social Center has everything one would need. There are rooms for meetings, card playing, and ping pong. Residents gather for picnics in the back, let their pets run around in the dog park, or enjoy a game of horseshoes, volleyball, or croquet. The Cummings Cove Company began construction here in 1988 and, once complete, the community will contain 600 homes, consisting of condominium and single-family styles. The condominiums offer approximately 1,300 square feet of living space with two bedrooms, two bathrooms, and carport parking. Most of these units have hardwood floors throughout, gas fireplaces, and screened porches for enjoying the striking mountain views. The neighborhood mostly consists of single-family homes. These range from a modest 1,618 to a more luxurious 4,281 square feet with two to five bedrooms, two to four bathrooms, and an attached two-car garage. Sweeping vistas of the mountains and green spaces, gourmet kitchens, and stainless-steel appliances are just a few aspects homeowners love in Cummings Cove. With a long list of activities and events, though, residents don’t spend much time at home. Planned events include holiday parties, bridge games, dances, and music on the lawn. In Cummings Cove you can make working out into a social activity with Pilates, Zumba, tennis, and water aerobics. There are also annual events like wine dinners and Oktoberfest. Cummings Cove is sure to have something to please any mood or interest. Aside from the majestic mountain ranges, Hendersonville has much to recommend it. National parks, state forests, and Transylvania County’s 250 waterfalls give the outdoor enthusiast innumerable places to explore. The city is also home to Flat Rock Playhouse, a live performance venue located in one of the state’s earliest settlements. The Hendersonville Symphony, Heritage Museum, and North Carolina Air Museum are also popular attractions. Everyday shopping needs are just a short drive away, giving homeowners access to grocery stores, banks, and restaurants. Living in Cummings Cove not only gives you plentiful opportunities for recreation within the community, but also unrivaled cultural attractions in easy reach.